An astounding 40 earthquakes were reported within the period of a week in Oklahoma in late July. State Gov. Mary Fallin acknowledged the link between such earthquake clusters and wastewater disposal procedures used in fracking operations. 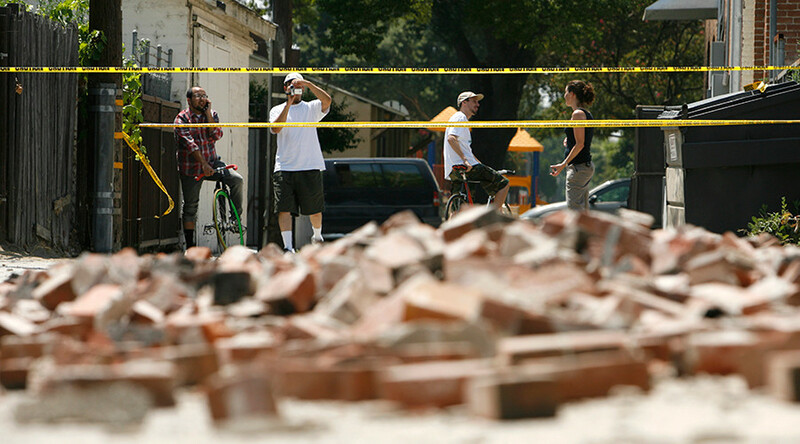 In 2013, Oklahoma experienced 109 earthquakes of magnitude 3.0 or higher. In 2014, the number skyrocketed to 585 such seismic events, according to state website Earthquakes in Oklahoma. This puts the current rate at some 600 times the historical average. A particularly intense bout of seismic activity occurred during a seven day period in late July, when 40 earthquakes with a magnitude of at least 2.5 were reported in Oklahoma, according to The Weather Channel. "We are almost seven months through the year and we've almost tied the number of earthquakes we had in 2014. And of course, 2014 was an absolute record-breaking year for the number of earthquakes in Oklahoma," state seismologist Austin Holland told a local Fox affiliate. Throughout the particularly active week, five earthquakes of magnitude 4.0 or higher were reported on July 27 alone, according to the United States Geological Survey (USGS). The tremors were strong and very shallow, adding to the fear of the residents, some of whom claimed that the July 27 earthquakes were the strongest that they have ever felt. "We all know now there is a direct correlation between the increase in earthquakes we have seen in Oklahoma and the disposal wells, based upon many different factors, whether it is volume or location or whether it is on a fault line, how deep that disposal well goes into the earth itself," Oklahoma Governor Fallin said Tuesday. Governor Fallin acknowledged the link between energy extraction operations and the quakes. The Coordinating Council on Seismic Activity, a panel that Fallin appointed last year, said on Tuesday that despite needing more time, they have made progress towards understanding and reducing earthquakes in the state. The council was created by Fallin last fall for the purpose of coordinating protection and research efforts throughout Oklahoma. It has focused its efforts on “wastewater disposal wells,” which are used by the oil and natural gas industry in hydraulic fracturing operations, commonly known as fracking. Energy industry representatives have expressed appreciation towards Fallin’s cautious approach regarding the issue. Some Oklahoma residents, on the other hand, say that such a light touch could end up costing home and business owners in the face of the earthquake swarm. "It appears to me we're protecting the industry in this state and all those jobs. Those jobs are important, but our homes and our wellbeing is every bit as valuable as a job with the oil and gas industry," said Angela Spotts, co-founder of Stop Fracking Payne County, according to NewsOK. "I sincerely don't believe the actions have been quick enough or are protecting us from the big one coming." Spotts added that the ongoing seismic activity has caused damage not covered by homeowners insurance. Others like State Rep. Cory Williams have called for a moratorium on wastewater disposal wells in active seismic areas. However, council members said Tuesday that they do not believe a moratorium to be a solution.